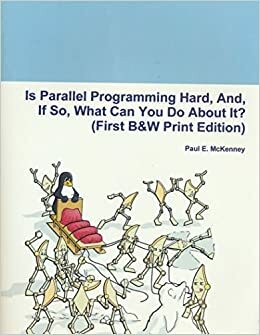 Title Is Parallel Programming Hard? If So, What Can You Do About It? The purpose of this book is to help you understand how to program shared-memory parallel machines without risking your sanity. By describing the algorithms and designs that have worked well in the past, we hope tohelp you avoid at least some of the pitfalls that have beset parallel projects. But you should think of this book as a foundation on which to build, rather than as a completed cathedral. This book examines what makes parallel programming hard, and describes design techniques that can help you avoid many parallel-programming pitfalls. It is primarily intended for low-level C/C++ code, but offers valuable lessons for other environments as well.